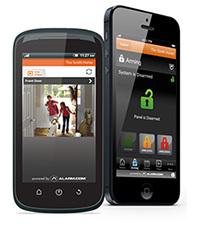 Alarm Center, Inc., is Lakeland’s oldest and most trusted security alarm company. Established in 1980 by William Clarence Plante Jr., Alarm Center is family-owned, family-operated and is Lakeland’s only security alarm company with a fully staffed office of dedicated security personnel, open right here in Lakeland, Florida, to serve you. When it comes to protecting the people and things you care about the most, Alarm Center is Polk County’s choice for those who want excellent service, state-of-the-art technology, and the best prices. How do you think the “out-of-town guys” and the “phone solicitor” alarm companies service your alarm system after the sale? The answer is either slowly and expensively or they don’t. That is the biggest advantage to a local alarm company. Fast, competent service by the people who installed your alarm system in the first place.